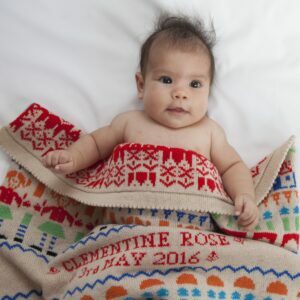 Charlotte Dean has been designing and making her personalised baby blankets since 1993. Charlotte’s blankets make a unique and useful gift that is loved by the baby and treasured for years to come. 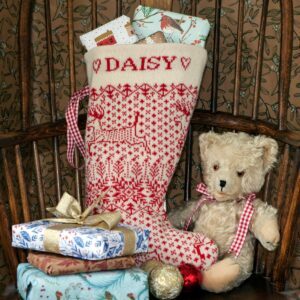 Charlotte’s designs are traditional: inspired by Victorian samplers, traditional children’s toys, nursery rhymes and a nostalgia for her own 1950s childhood. She works from a studio in her back garden in Norwich, England. All the blankets are made from two layers of knitted cotton or wool. 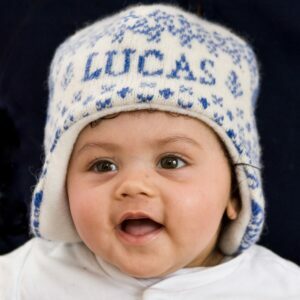 Baby’s name and date of birth are knitted as an integral part of the front of the blanket, and the back of the blanket is knitted in a different, complimentary design. 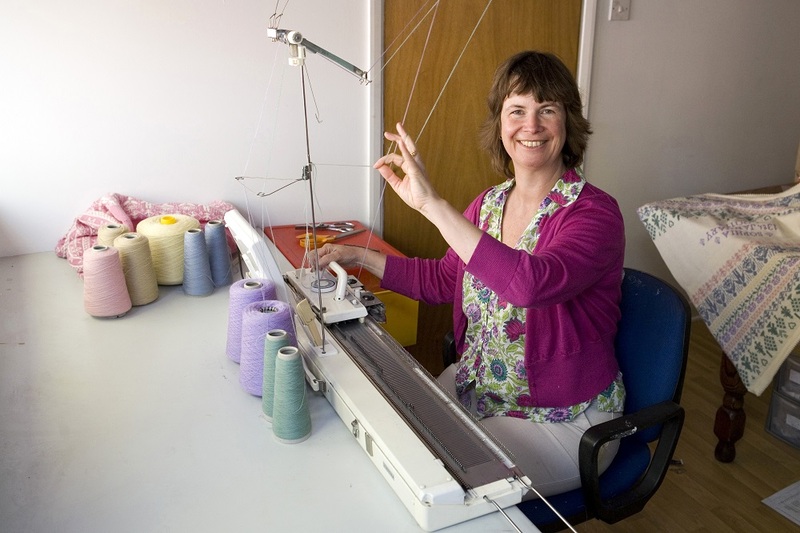 As each blanket is individually made, Charlotte can accommodate special requests. Charlotte can be contacted via e-mail or on 01603 627448. Your comments and suggestions are always welcome!